When you start working with Moduleo, it will change the way you think about getting the right flooring in your home. We give you the tools and materials to help you go from enthusiastic amateur to design pro without having to study for it. Our unique modular system and online apps help you make the most of our range. You might not know what you want yet. That’s a great place to be when you start working with Moduleo. We offer inspiration for every room so you find the look that creates the right mood and experience in your home. Do you want clean and sharp? Or perhaps you prefer warm and cosy? You can browse our range by finish as well to help you focus once you start to get closer to your perfect match. Mix and match and put it all together in the Mood Studio from Moduleo. Change the layout according to your rooms or change the angle to see how it feels. Keep refining until you feel that subtle click in your head that means you’ve found the right arrangement for your home. At Best at Flooring, we know there’s more to flooring than just how it looks. 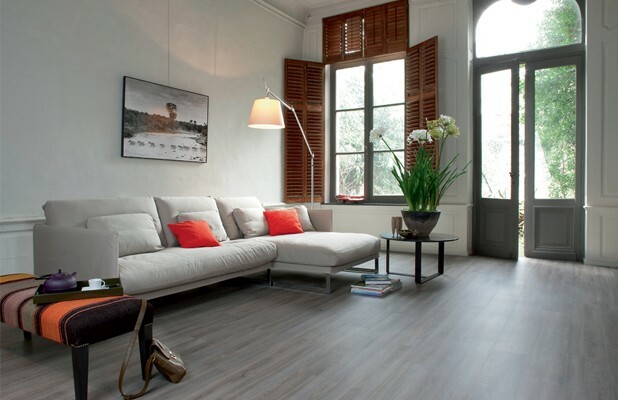 Moduleo flooring has a kinaesthetic beauty on the surface, which is apparent across the entire moduleo range. When you step out in the morning, you want your feet to meet something that feels natural, warm and secure. Our flooring is subtly embossed to recreate the feeling of moving on materials like stone and wood. An amazing floor is one that can withstand all the rigours of life while still looking its best. Moduleo flooring has no less than 8 layers. 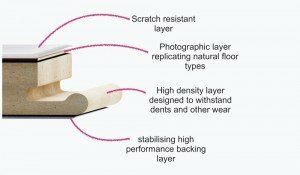 This ensures that it is scuff and stain resistant, easy to clean, absorbs sound and prevents slips. You get peace of mind as well as a high-quality look. Moduleo offers a 15-year guarantee, as they believe heavily in the durability and resilience of their product. They are also proud to say they use 50% recycled wood while maintaining the standards you deserve in your home.